When thinking about this post, I had lots of ideas pop into my mind. However, each of them sits in the embryotic phase, growing and maturing in my mind but none is ready to be birthed on this page. As frustration (and perhaps a touch of fear) began to tickle the corners of my mind, I wondered about this whole NaBloPoMo thing. I’ve done it for several years now, but I wondered if writer’s block, busyness, and a warm bed might put an early end to this run. I tried to recall where I was at this time last year when technology aided my efforts. I simply scrolled through last November’s postings and found it ironic that sometimes, the more things change, the more they stay the same. 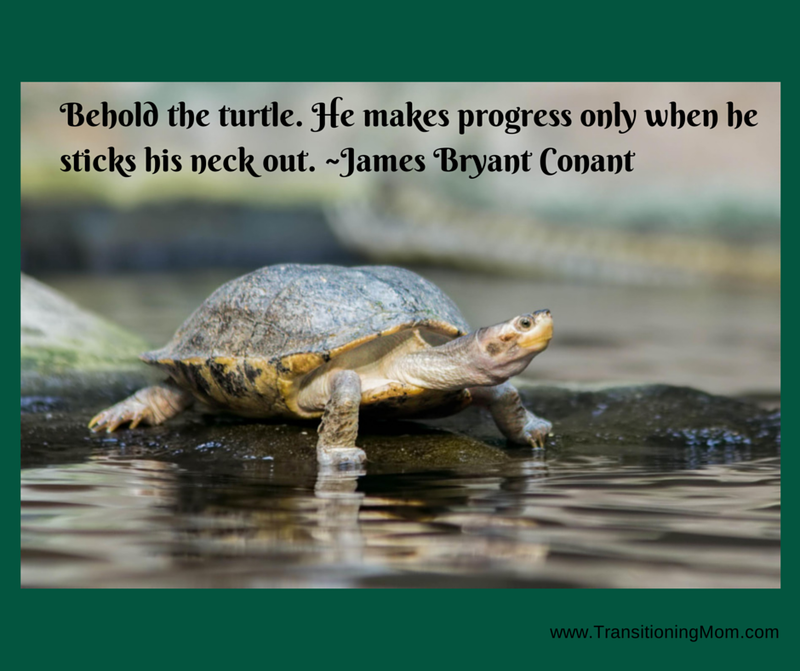 Do you live life neck in or neck out? Neck in or neck out? Sometimes, I jump in to situations without fully considering the extent of the commitment. Sometimes, those leaps have served me well, other times not so much. In all times, though, I’ve learned something new about myself. When the idea of participating in NaBloPoMo came up this year, I leapt. I didn’t spend time evaluating my schedule, I didn’t peek at my files to see what I had waiting to be written–did I have enough new, or anything at all for that matter, to say. I just stuck my neck out and went for it. And, as often happens when I impulsively leap, I can have second thoughts. That doesn’t mean I quit, but I certainly toy with the idea. This first week of NaBloPoMo has not been without its challenges. Temptations of quitting have nipped at my resolve this weekend and though I may be impulsive, I am rarely a quitter. I’m late getting this post up, but I am getting it done. Tomorrow, I may be running behind again, but I will get it done. I committed to myself to writing everyday this month, not to a novel, not a word count, but to posting everyday. I stuck my neck out when I accepted the challenge/invitation posed by my friend, Lois, but I have no regrets because I’d rather live my life neck out than neck in any day. Previous PostSilent GratitudeNext PostWhat’s in your cup? What can I say? I like to keep my options open so when I stick my neck out the movement is very slow with full extension only occurring in fits and starts. That last expression, fits and starts, is one of my favorites so thanks for the rare opportunity to actually use it! You’re a braver turtle than I for making this commitment and I look forward to living vicariously through your courageous daily efforts. I can always count on you to make a bright side even brighter. You are the best! Sticking my neck out seems to be a way of life for me and oh do I know the doubts and second thoughts. Yet, each time I break it down and take a nip at it here and there beautiful things happen. I see the same happening for you. I’m loving your words and finding wisdom each day. Just looking at the life you have created, I see beauty. Love you, friend! Thank you, thank you, thank you! You are a blessing to me!